[9:25 PM IST]: Accessories: Bullet Headphones Type- 2. $19.95 with a USB- C connector. OnePlus backpack in Slate Green and Morandi Black with a metallic clipping system. [9:19 PM IST]: 3700 mAh battery highest for any OnePlus smartphone. [9:16 PM IST]: OnePlus claims their device gives the best gaming experience in the industry. Smart Boost: Using RAM as the storage instead of ROM. Promising upto 20% faster load time. [9:05 PM IST]: Another feature copied from Apple: Studio Lightning. [9:03 PM IST]: Nightscape to arrive on OnePlus 6 also starting this week. [9:02 PM IST]: NightScape: Smart HDR for better low light performance. [9:00 PM IST]: Partnered with professional photographers, in order to showcase their camera performance. [8:58 PM IST]: Camera hardware borrowed from the OnePlus 6. [8:53 PM IST]: Support for 200+ carriers in 74 countries, the highest ever for any OnePlus smartphone. [8:53 PM IST]: Still a FullHD+ screen only with waterdrop notch. ( No QHD still ). An aspect ratio of 19.5:9. Bottom chin smaller than the previous iteration. [8:51 PM IST]: Claims it would be fastest in- display fingerprint sensor in the world. [8:50 PM IST]: Showcase of ‘Screen Unlock’ OnePlus’ name for their Under display fingerprint sensor. OnePlus claims that they were planning to incorporate the fingerprint reader in the 5T but didn’t find the technology feasible. [8:46 PM IST]: Smart 16+20MP cameras with OIS. [8:46 PM IST]: OnePlus 6T showcased: 3700 mAh battery. [8:42 PM IST]: No. 1 Premium smartphone brand in India. [8:41 PM IST]: OnePlus annual revenue: 1.5 billion $ for the last year. 1 million OnePlus 6 sold in three weeks. 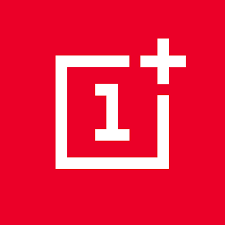 [8:37 PM IST]: OnePlus is partnering with T- Mobile for the States. OnePlus 6T to be available in over 5600 T- Mobile stores over the country. [8:35 PM IST]: Review for OnePlus review showcased. [8:32 PM IST]: Briefing about the American market and their American forums. How OnePlus 1 was embraced by people in Silicon Valley also. [8:30 PM IST]: Founder and CEO Pete Lau steps on stage marking the start of the event. Begins by thanking their OnePlus community and media. [8:30 PM IST]: And its begun. [8:29 PM IST]: Event about to start soon!!! [8:28 PM IST]: OnePlus 6T. Headphone jack less device incoming. [8:25 PM IST]: Five minutes to the start of the event.